Paddy and I will be teaching hunter education and can’t be there. 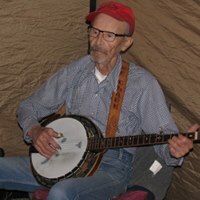 We didn’t know Forest for very many years but we always looked forward to seeing him at the Fiddler’s Picnic or Hard Times. Somebody ( Mike or Tari?) raise a glass for us in honor of Forest!